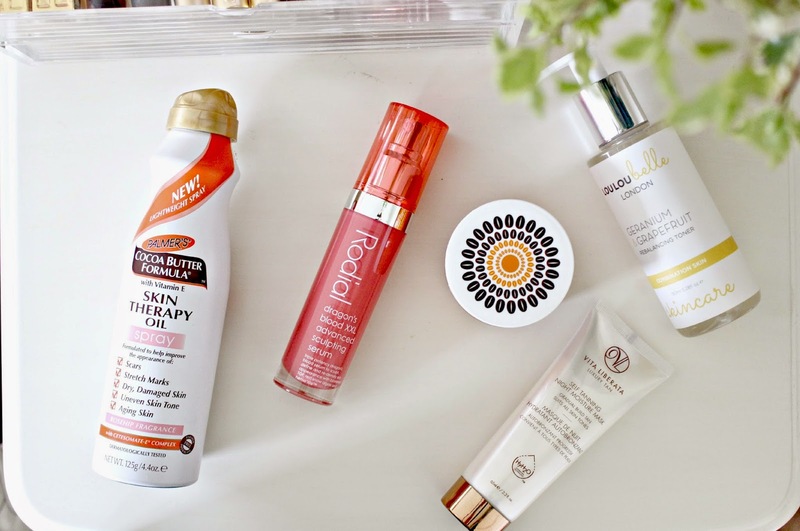 It’s been a little while since I gave a proper skincare update, and a few products have snuck into my routine recently that I absolutely had to tell you about! I’ve got into a really good routine with cleansing, toning, and taking off eye makeup remover with my Liz Earle set (read all about it here!) 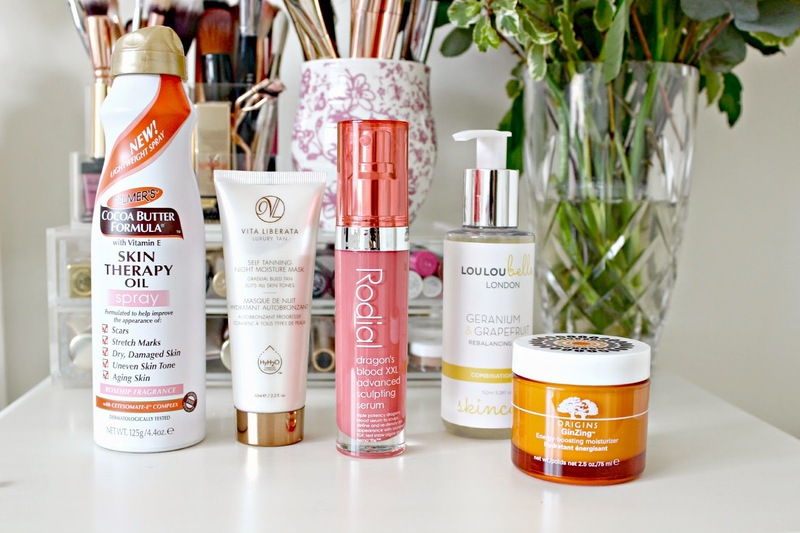 but I’ve recently added in a few new launches and been trying out some new brands. 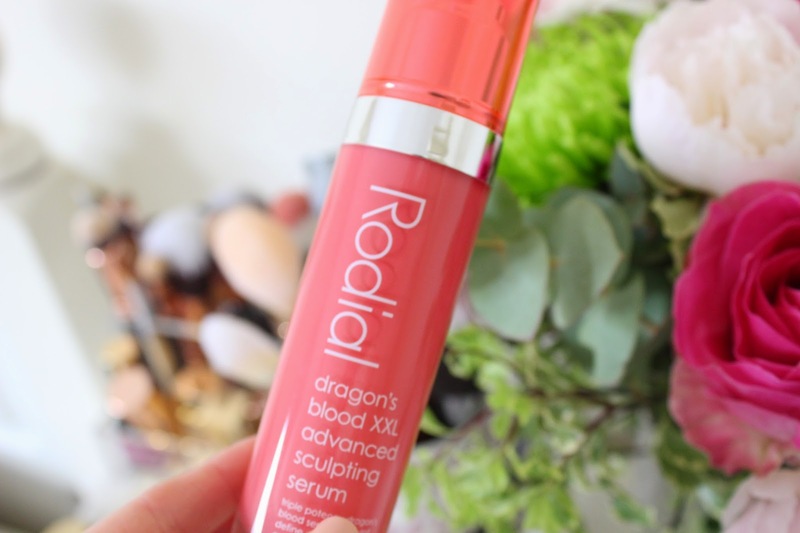 The most ‘revolutionary’ product in my updated skincare routine is the Rodial Dragon’s blood XXL advanced sculpting serum. Now this stuff is pricey but I have been using it for about 4 weeks now so I’m starting to see why! It’s got the magic ‘Dragon’s Blood’ ingredient in it which somehow works to firm up the skin, it’s hailed as one of the only products that can give you plumped up skin without needles and although I wouldn’t say my skin was ever particularly hollow or wrinkly, my face definitely feels plumper (in a good way!) – it actually took me a while to realise why my face looked better, I thought it was the light tan (more on that later!) but I slowly realised it was the smoothness and more healthy ‘fullness’ that the serum had bought to my complexion. If you’re in your early 20s or even younger and not worried about plumping your skin then I would say stick to your normal serum because of the price tag, but if you are starting to worry about your skin showing signs of aging then this serum really works, and if your skin is knocking your confidence then it’s worth every penny. 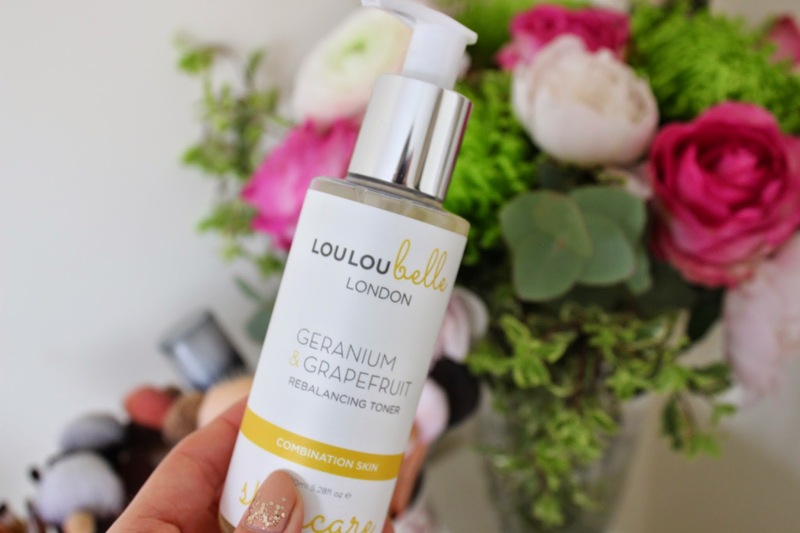 I actually took toner out of my daily routine for a while, but with the cute little bottle I popped the LouLouBelle London Geranium & Grapefruit toner in my gym bag, I recently gave it a go and was pleasantly surprised as to how refreshed my skin felt afterwards, instead of tight and in need or moisturiser. It’s more like a like floral water, and there’s lots of essential oils in there so it really replenishes the skin as well as toning. I’ve been trying to build up a natural tan on my face recently to slowly but surely get to that point where I can whip off all my makeup on the beach. 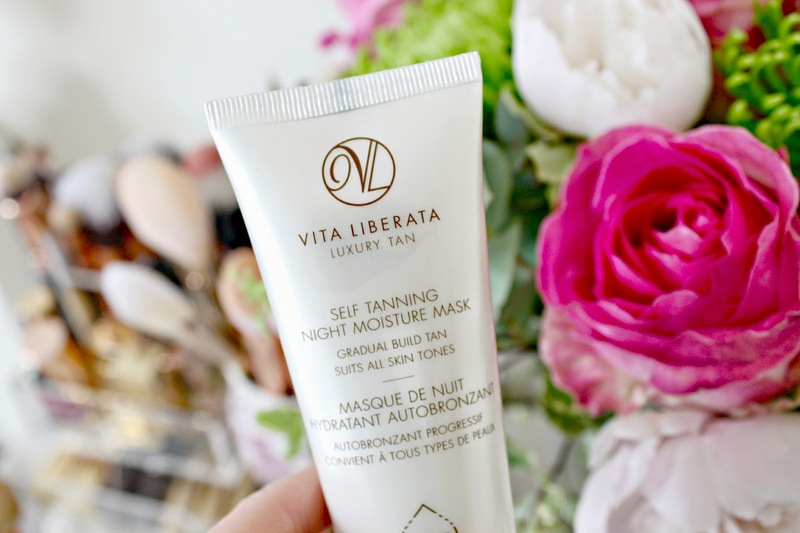 The product that I’ve been most impressed with is the Vita Liberata Self Tanning Night Moisture Mask. 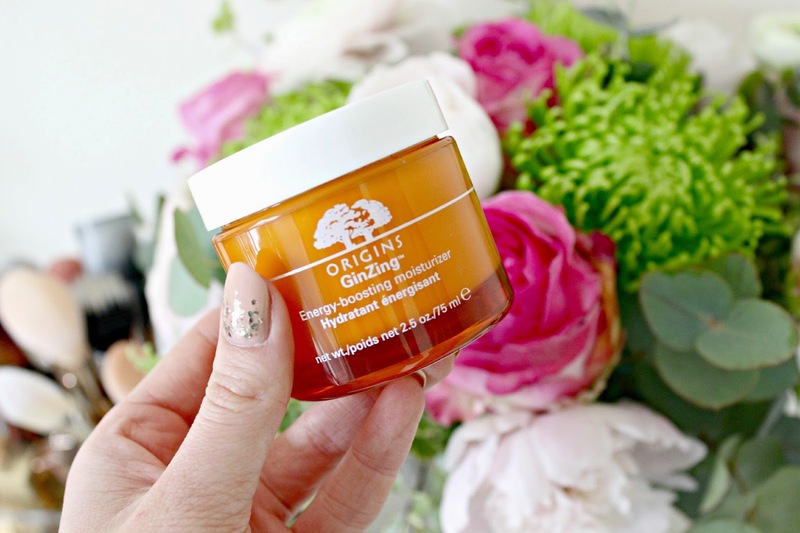 I just ran out of my night cream so it was perfect timing to sneak this into my routine, but the great thing is that it has loads of the benefits that my night cream had (major hydration, anti aging, and skin nourishing ingredients) as well as antioxidants which help to control sebum for oily skin types. The main reason why I’ve been loving it though is the gorgeous even and completely odourless tan that I wake up with the next morning – it’s very subtle which I love, and applying it twice a week gives me a lovely glow which instantly gives me more confidence to bare my skin! I’ve never been particularly loyal to any body lotion product, however Charlie is completely smitten with his Palmer’s Cocoa Butter. I have hundreds of body lotions that he could use but he still chooses to buy the Cocoa Butter so I was kind of excited when I had a good excuse to try out a new product from the range. 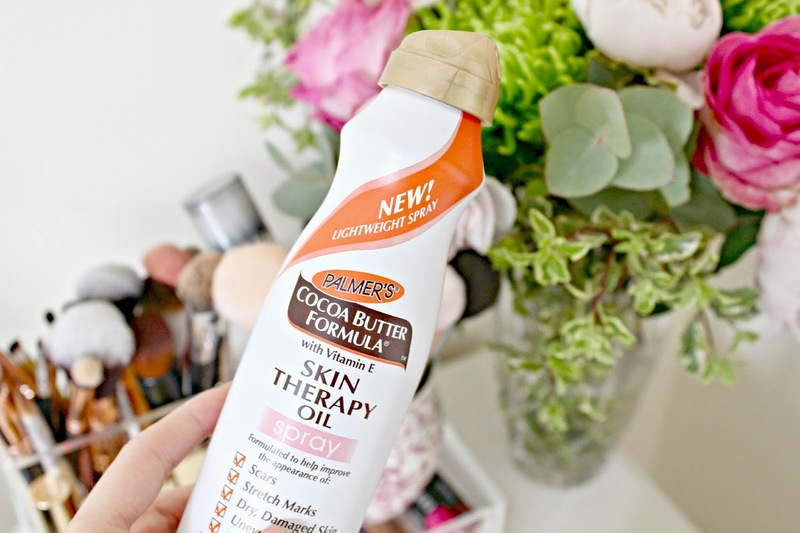 Their Skin Therapy Oil Spray is the easiest body lotion to use ever. I love that you just spray it on and don’t have to ruin your nails squeezing a tube, or getting lotion under your nails when you grab it from a tub! 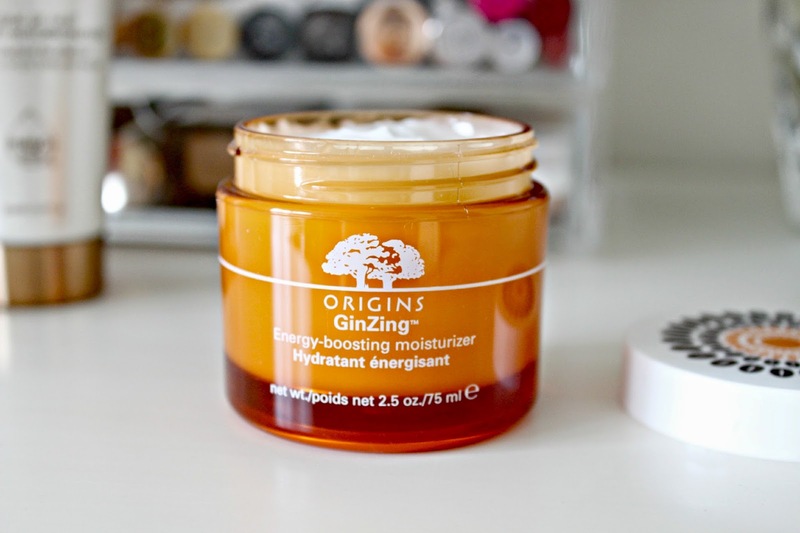 The moisturiser itself has the most incredible smell – the pure Cocoa Butter is just heavenly and my skin remains softly scented for hours after I apply it. The ingredients within it also work to improve the skin’s appearance, making stretch marks and scars less obvious, and evening out dry or uneven skin. 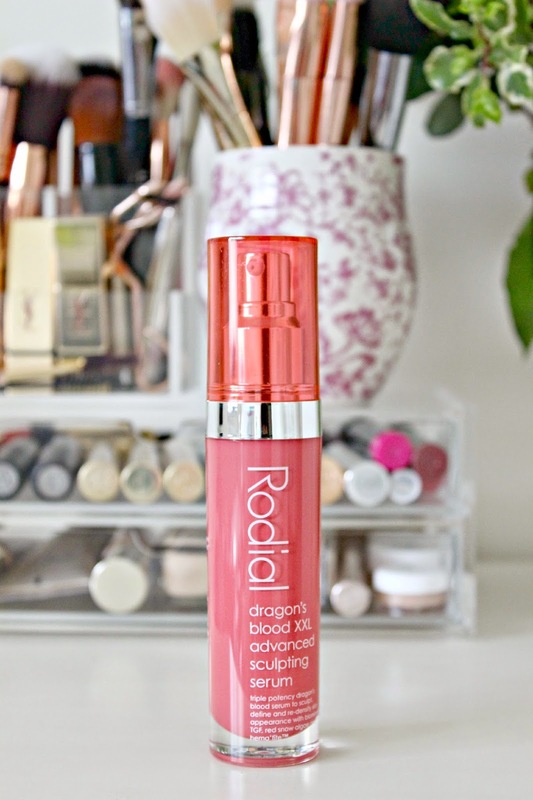 I was kind of expecting it to be really thick and buttery, but the formula is surprisingly lightweight and sinks in almost instantly so I can get dressed moments after application! 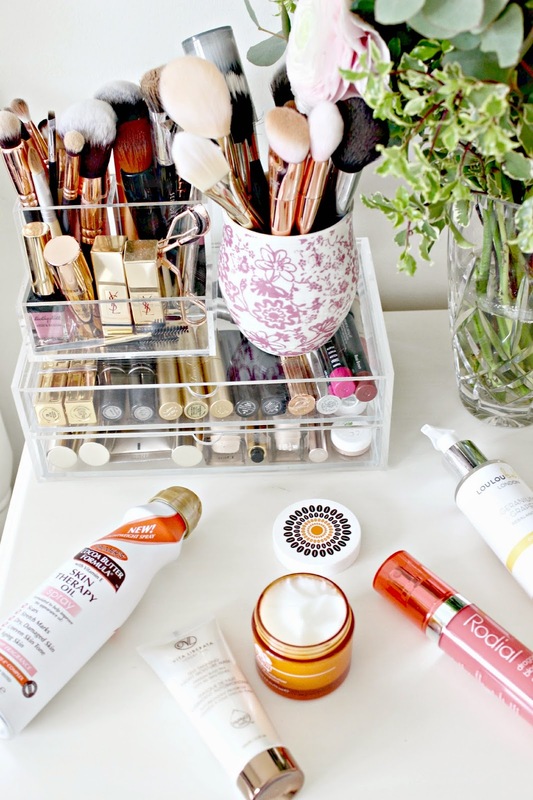 I’d love to know what your skincare favourites are at the moment!